Krug Clos D'Ambonnay 2000 Vintage Champagne 75cl presented in a Wooden Gift Box is the expression of a unique walled plot of Pinot Noir harvested in 2000. This year the grapes were very concentrated and generous, making the harvest a supremely qualitative one. The single walled vineyard of Krug’s Clos d’Ambonnay lies in the heart of the village of Ambonnay, renowned for having some of the best Pinot Noir grapes in the Champagne region and the main source of supply of grapes for Krug since the House’s early years. 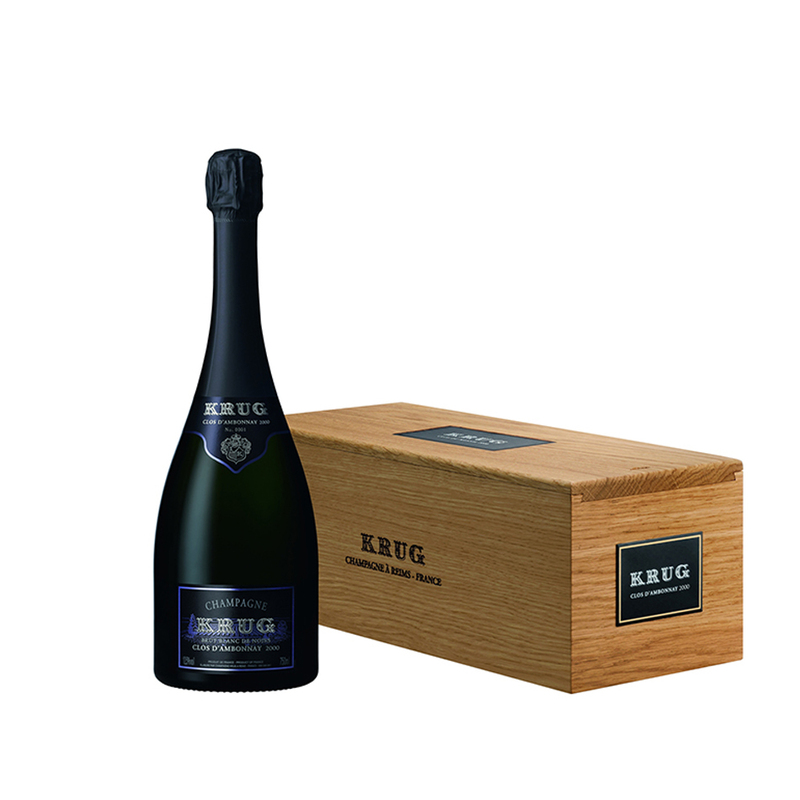 This tiny vineyard of just 0.68 hectare makes Krug Clos d’Ambonnay 2000 extremely rare.